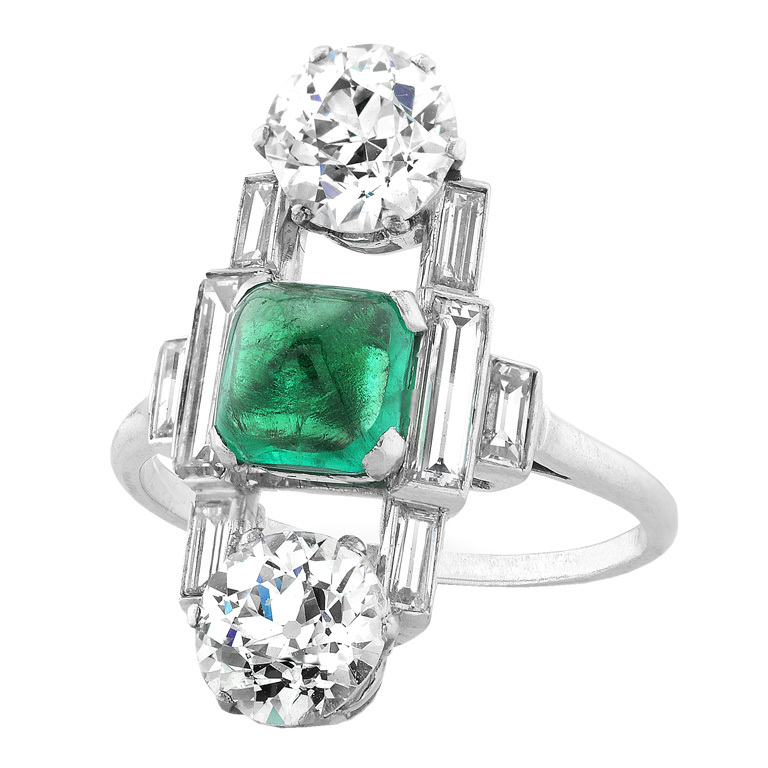 Emerald are traditionally associated with the goddess of love Venus, and is believed to preserve love. And emeralds also remove heartache and worry over love. Emeralds help their keeper relax and have confidence in their relationships, and avoid sabotaging them through self-fulfilling prophecies. In modern times diamonds are often thought of as a symbol of love because of their power as a gift from man to woman. It's safe to say that this is based on the cost of diamonds and the status they exhibit, rather than on any metaphysical effect of diamonds. Diamonds do, however, amplify the effects of other gemstones and have historically been used together with emeralds and amethysts to increase their power. 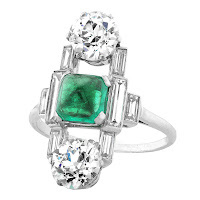 This is one of the great things about emerald and diamond rings. Emerald and diamond rings are not only a beautiful display of perfectly matched colors, they are also the true jewelry of love and trust. The diamonds are a symbol of giving and sharing of the household, while the emeralds express confidence in the relationship and in one's partner. They therefore make a good choice for matching couple's rings. And don't forget that not all diamonds are crazily expensive. Diamonds come in a wide variety of sizes and grades, and cheap diamonds are available. So if you're a young couple on a tight budget, don't let the price of diamonds stop you from buying a pair of emerald and diamond rings.